Learn how to create a story that builds trust, gets engagement and drives targeted traffic to your website, by defining your business goals and objectives on all social networks and your website. Offer valuable information that gives your audience the content and visuals they crave. Share targeted and relevant information from your industry that engages with your online audience and learn how to design your own content that reflects your brand. Build a framework for success with proven templates that will help you define your online marketing over next 90 days and then get you focused on targeted content to share and automate for the next 7 days, driving engagement and traffic. Show you how to action your “launch plan” by sharing your content to your audience, grow your following, keep customers by building engagement, track and analyse for ongoing success. Warren Knight, author of Think #Digital First is a keynote speaker, 1 of the UK`s most dynamic and sought-after inspirational Technology, Sales and Marketing experts. As an award-winning coach and entrepreneur, he delivers training masterclasses to SME’s helping build a digital footprint, doubling conversion rate and increasing sales. 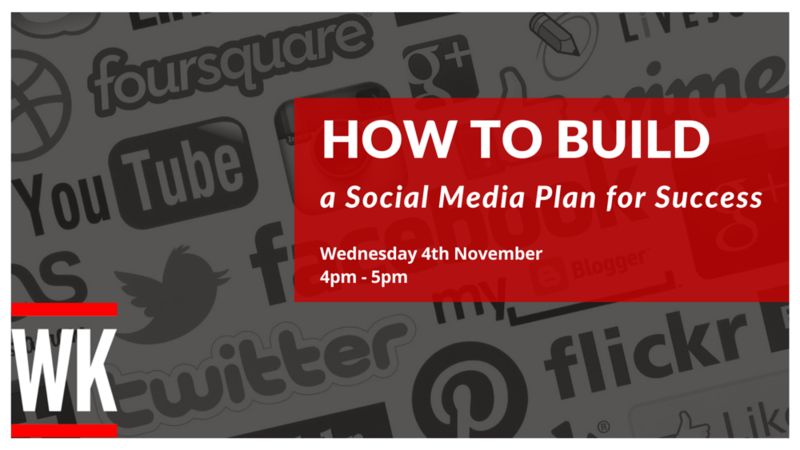 In this free, and live 1 hour webinar you will learn “How to Build a Social Media Plan for Success”, that’s been designed for business owners, marketing managers and entrepreneurs who need help with defining their business for their audience, creating shareable content, structuring their social media and executing a social media plan.